It’s shaping up to be a very spooky weekend in the 88th Assembly District. Halloween is here and there are a whole host of events planned in our cities, towns and villages this weekend to coincide with the popular holiday. Alvin & Friends Restaurant (14 Memorial Highway, New Rochelle) will host “The Vault: Pink Out”, an event where musicians can participate in an open mic/jam session and play/sing with some of the best musicians in the area. Visit alvinandfriendsrestaurant.com for more information. Meals on Wheels of New Rochelle will hold its annual Dine and Dance Gala at Beckwith Pointe (700 Daven Avenue, New Rochelle) at 6:30 p.m. Visit mownewrochelle.org/events/ for more information. 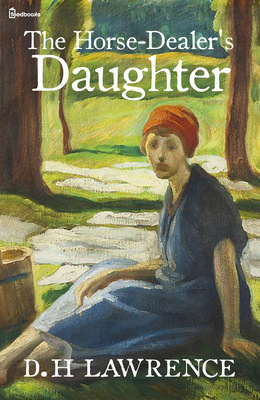 The White Plains Library (100 Martine Avenue, White Plains) will kick off its Short-Story Discussion Series at 2 p.m. The book “Love Stories” is available for loan at the library’s reference desk. This week’s discussion will focus on “The Horse Dealer’s Daughter” by D.H. Lawrence (p.121) and “Immortality” by Yasunari Kawabata (p. 187). Visit whiteplainslibrary.org for more information. The Friends of the White Plains Youth Bureau will host “An Evening With Friends” at the Crowne Plaza (66 Hale Avenue, White Plains) at 6 p.m. Frank Williams, the executive director of the White Plains Youth Bureau, will be honored for his 30 years of service to the bureau. Visit fowpyb.org/events/an-evening-with-friends/ for more information. The Zonta Club of New Rochelle will partner with the New Rochelle Public Library for “Focus on Women’s Issues: Dating Violence” in the library at 4:30 p.m. The PBS teen series, “In the Mix”: Dating Violence: Twisted Love and Abusive Relationships: Get Help, Get Out, are 30-minute programs that will be shown and discussed. Visit nrpl.org for more information. The Westchester Italian Cultural Center (One Generoso Pope Place, Tuckahoe) will host author Umberto Mucci, who will discuss the Italian community in the United States. Visit wiccny.org for more information. The seventh annual benefit for The Adina’s Angels Fund at Friends of Karen will take place at Mulino’s at Lake Isle (660 White Plains Road, Eastchester) from 7-10 p.m. Friends of Karen is a lifeline of support for families in the NY, NJ and CT area who are caring for a child with cancer or another life-threatening illness. Visit friendsofkaren.org for more information. The Westchester Habitat Pelham Local Project Committee will hold a meeting from 6-7 p.m. at The Community Church of the Pelhams (448 Washington Avenue, Pelham). Anyone interested in joining or helping out on future projects is encouraged to attend. Visit communitychurchofpelham.org for more information. The New Rochelle Halloween Toddler Bash will take place at The Hugh Doyle Center (94 Davis Avenue, New Rochelle) at 6 p.m. Visit newrochelleny.com for more information. Alvin & Friends Restaurant (14 Memorial Highway, New Rochelle) will host “Funky Friday”, an after-work mixer featuring live music. Ten percent of every ticket sold will go to breast cancer research. Visit alvinandfriendsrestaurant.com for more information. The Scarsdale Parks and Recreation Department will host Bat & Owl Prowl at The Weinberg Nature Center (455 Mamaroneck Road, Scarsdale) from 6-9 p.m. 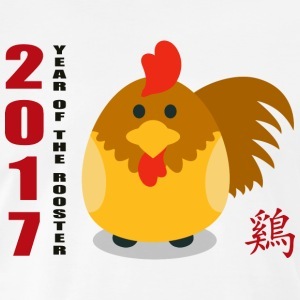 There will be a Kiddie Costume Contest, a live-animal presentation and “Star-Gazing for Kids”, a night hike through the woods. Visit weinbergnaturecenter.org for more information. The First Baptist Church of White Plains (456 North Avenue, White Plains) will host “Trunk or Treat : A Community Halloween Celebration” from 4-7 p.m. Visit firstbaptistwhiteplains.org for more information. Beer Noggin’ (102 Kraft Avenue, Bronxville) will host Jack’s Jolly Halloween Party from 6-9 p.m. Visit bronxvillechamber.org for more information. The SOOP Theatre will present Les Miserable at The Manor Club (1023 Esplanade, Pelham Manor) at 8 p.m. on Friday and Saturday. There will also be 2 p.m. shows on Saturday and Sunday. Visit sooptheatre.org for more information. The New Rochelle Chamber of Commerce and FunFuzion at New Roc City (33 Lecount Place, New Rochelle) will host a kid friendly “Monster Mash” at 4 p.m. Visit newrochellechamber.org for more information. The Westchester Italian Cultural Society (One Generoso Pope Place, Tuckahoe) will show the film Andrea Doria: Are The Passengers Saved? to mark the anniversary of the ocean liner’s sinking. The film begins at 7 p.m. Visit wiccny.org for more information. Jazmyn will perform at Alvin & Friends Restaurant (14 Memorial Highway, New Rochelle) from 7-11 p.m. Visit alvinandfriendsrestaurant.com for more information. Westchester Seniors Speaking Out (WSOS) will host Demystifying MEDICARE and Healthcare Coverage For Seniors from 10 a.m.-1 p.m. at the Scarsdale Library (54 Olmstead Road, Scarsdale). Visit westchesterlibraries.org/westchester-seniors-out-speaking/ for more information. The Reformed Church Nursery School of Bronxville (6 Kraft Avenue, Bronxville) will host The Harvest Moon Festival from 9:30 a.m.-1:30 p.m. Visit bronxvillechamber.org for more information. The Bartow-Pell Mansion Museum (895 Shore Road, Pelham Bay Park) will host Gravestones and Goth from 6-8 p.m. Visit the Pell gravesite and learn about Goodwife Pell’s part in the 1650s witchcraft trials. Members of the City Island Theater Group will also read scary stories. Visit bartowpellmansionmuseum.org for more information. The Village of Tuckahoe Halloween Costume Contest will take place at the Tuckahoe Community Center (71 Columbus Avenue, Tuckahoe) from 4-6 p.m. Visit tuckahoe.com for more information. The K.I.N.G. 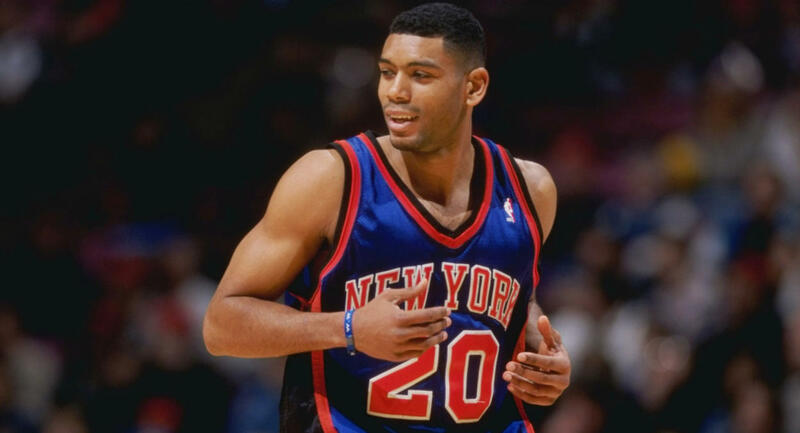 3rd Annual Celebrity Hoop Challenge will take place at the Westchester County Center in White Plains at 2 p.m. Former Knicks Allan Houston and John Starks are scheduled to appear. Visit countycenter.biz for more information. The St. Paul’s Church National Historic Site (897 South Columbus Avenue, Mount Vernon) will present “Rest In Peace: History of Funerals In America” at 1 p.m. Nancy Coffey, professor at the American Academy McAllister Institute of Funeral Service, will speak. Visit nps.gov/sapa for more information. The New Rochelle Library will host a Murder Mystery Night from 7-8 p.m. in the main lobby. This program is for adults. Cocktails and a strolling dinner will be served. Visit nrplfoundation.org for more information. The Thomas Paine Cottage (20 Sicard Avenue, New Rochelle) will host its fourth annual Haunted House from 4-6:30 p.m. There will also be a gentler spooky house for younger patrons. Visit thomaspainecottage.org for more information. The Family Christian Center of New Rochelle (592 Main Street, New Rochelle) will host “The Gospel Comedy Fest” from 4:30-7 p.m. Visit fccnr.com for more information. The Concordia College Sommer Center (171 White Plains Road, Bronxville) will host “A Night of Reform and Revolution” as part of the Concordia Conservatory Hoch Chamber Music Series. Violist Lawrence Dutton of the Emerson String Quartet will perform at 7 p.m. Visit concordia-ny.edu/conservatory for more information. The Scarsdale Parks and Recreation Department will host its annual Costume Parade at 3 p.m. in Chase Park (32 Chase Park, Scarsdale). There will be entertainment and refreshments. Visit scarsdale.com for more information. The Scarsdale Parks and Recreation Department will also co-host a Family Halloween Window Painting Contest with the Scarsdale Chamber of Commerce from 9 a.m.-4 p.m. for all families who reside in Scarsdale or have children in Scarsdale public or private schools. Family entries can include as many as five family members. The rain date is Monday from 4-7 p.m. This is not a contest. However, there will be a Halloween Window Painting contest with a $100 first prize. All children who reside in Scarsdale or attend grades 3-10 are eligible. Visit scarsdale.com for more information. The New Rochelle Branch of the NAACP will host their annual Freedom Fund Dinner at Beckwith Pointe (700 Daven Avenue, New Rochelle) from 4-8 p.m. Visit newrochellenaacp.org for more information. “BID Family Days: Día de los Muertos, Day of the Dead: Grand Display of Ofrendas” will take place in Ruby Dee Park on the New Rochelle Library Green from 1-5 p.m. Artists from the New York Metropolitan area will be on display and will include performances by Atl-Tlachinolli, an extraordinary group of Aztec dancers, Mexican vocalists and musicians, food and vendors. The Eastchester Ragamuffin Parade will take place at 2 p.m. beginning at the Eastchester Middle School (550 White Plains Road, Eastchester). The parade will run to Eastchester town hall, where there will be snacks, dancing and more. Call 914-771-3311 or write to recreation@eastchester.org for more information. 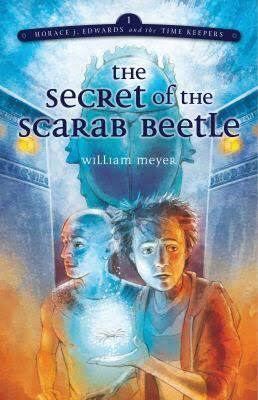 Author and Bronxville High School teacher William Meyer will read and discuss his book “The Secret of th e Scarab Beetle” at the Bronxville Library at 4 p.m. Visit bronxvillelibrary.org for more information. Temple Israel of New Rochelle (1000 Pinebrook Boulevard, New Rochelle) will host a breakfast and discussion at 9:30 a.m. The topic of discussion will be “Downtown Development in New Rochelle” and the guest speaker will be Luiz Aragon, the New Rochelle Commissioner of Development. Contact Mitchell Tarnopal at tarnopal@randrealty.com or call the temple at 914-235-1800 for more information. The Archeological Institute of America’s Westchester Society will present “The Salem Witch Trials and Gallows Hill” at 2 p.m. at The Scarsdale Library (54 Olmstead Road, Scarsdale). Dr. Emerson W. Baker, of Salem State University, will be the featured speaker. Visit aiawestchester.org for more information. The Eastchester Library will present the M&M production of Constellations, a two-person drama that is a captivating, romantic story, at 2 p.m. Visit eastchesterlibrary.org for more information.